The present SUNY Upstate Medical University College of Medicine traces its ancestry to September 15, 1834, when Geneva Medical College was founded as a department of Geneva (now Hobart) College. The medical school was the brainchild of Edward Cutbush, MD, who became its first dean. GMC held its first classes in February 1835, and graduated its first six physicians later that year. 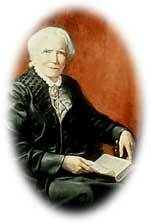 In 1849 it graduated Elizabeth Blackwell, the first woman to earn a regular MD. Among the early luminaries at GMC were Prof. of Surgery Frank Hastings Hamilton, pioneer in orthopedics, military surgery, and military hygiene; Stephen Smith, briefly a GMC student in 1847-1848, later an innovative sanitarian and surgeon in New York City; Lecturer in the Theory and Practice of Medicine Austin Flint, developer of modern methods of auscultation, cofounder (with Hamilton and several other GMC faculty) of the University of Buffalo College of Medicine, and eventually President of the AMA; and Prof. of Anatomy and Physiology Willard Parker, who became the premier surgeon at Bellevue. In 1871 Hobart disbanded GMC and sold its library, anatomical specimens, and other tangible assets to Dean John Towler. Acting as a private citizen, Towler donated these materials to the new Syracuse University on condition that the trustees immediately establish an AMA-approved medical school. Thus the Syracuse University College of Medicine came into being on December 4, 1871, with Frederick Hyde as dean. In the 1870s the SU College of Medicine was (along with Harvard, the University of Pennsylvania, and the University of Michigan) among the first to institute a graded medical instruction program, with definite pre-clinical and clinical years. In the 1890s it was again (along with Johns Hopkins, Harvard, Penn, and a few others) among the first in America to organize its curriculum according to the so-called "German model," with intense scientific and especially laboratory training for students in the first two years, and rigorous clinical training on rounds thereafter. The prime mover behind this reorganization at SU was Prof. of Medicine Henry Leopold Elsner, a specialist in diagnosis and prognosis who had studied in Europe and who insisted on only the most modern pathology laboratories for himself and his students. This tradition of steadily improving educational methods, practices, and facilities placed the SU College of Medicine in a good light for the Carnegie Foundation's Flexner Report in 1910. The Flexner Report hastened the demise of many medical schools in the United States and Canada, but, as Abraham Flexner wrote, "Of the eleven medical schools now existing in the state, only the bona-fide university departments can then expect to survive: outside of New York city, Syracuse University alone has just now a chance. The schools of Buffalo, Albany, and Brooklyn belong to the past. None of the three has even yet emerged from the fee-dividing stage. Syracuse, with a smaller total fee income than any of them, devotes every dollar to the development of the fundamental branches and has fairly earned support from outside." Elsner's assistant in pathology was future dean Herman Gates Weiskotten. When Weiskotten became dean, he followed in the footsteps of Elsner and in the spirit of the Flexner Report, promoting the amelioration of medical education in every way. From 1934 to 1936, Weiskotten headed a team which visited and evaluated 89 medical schools in the style of Flexner. Under Weiskotten's leadership, the SU College of Medicine dramatically expanded its physical plant, and in 1937 moved into a new building whose cornerstone had been laid the previous year by President Franklin Delano Roosevelt. This building is now called Weiskotten Hall. Subsequent additions to Weiskotten Hall stand on the site of the former Yates Castle. SU sold the medical school in 1950 to the new SUNY Upstate Medical Center, where it remains today. After a name change to SUNY Health Science Center at Syracuse in the mid-1980s, the institution returned to the familiar name Upstate, but emphasizing its university structure, to become SUNY Upstate Medical University in 2000. The first decade of the 21st century has been one of growth: the opening of the Institute for Human Performance for basic and clinical research; the East Tower expansion of University Hospital that houses the Golisano Children's Hospital and other clinical specialties; two new, 1,500-car parking garages; a renovated gross anatomy lab; the Setnor Academic Building with a unique clinical skills center; and the purchase of land for a new Biotechnology Research Center. These and other capital improvements benefit students and faculty in SUNY Upstate's College of Medicine as well as the colleges of Graduate Studies, Nursing and Health Professions. Last Modified: September 05, 2018. Contact Chris Liberty with questions about the content of this page.